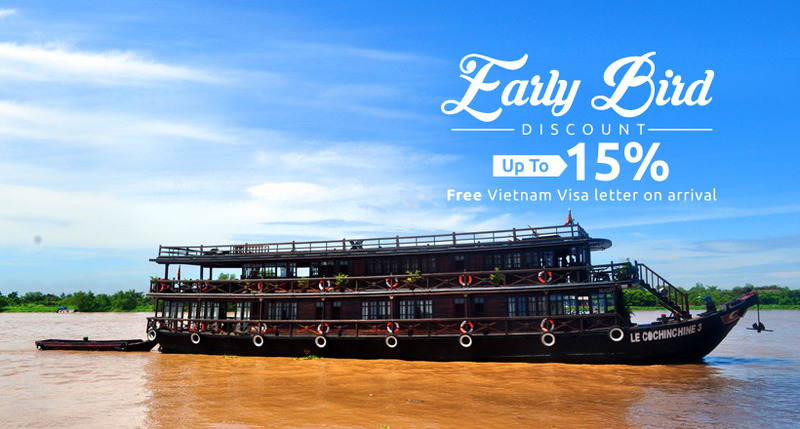 On this 3-day Mekong river tour, you will witness the distintive side of Vietnamese culture - the water civilization. 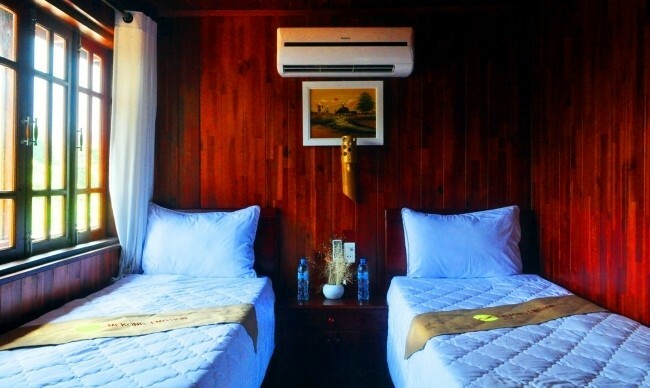 On these days, beside exploring idyllic islands and picturesque towns as well as countryside villages, you will get a deeper sights into the daily working life at cozy floating markets, trek around the countryside & handicarft village and sample famous fruit specialties in fruit orchards as well. 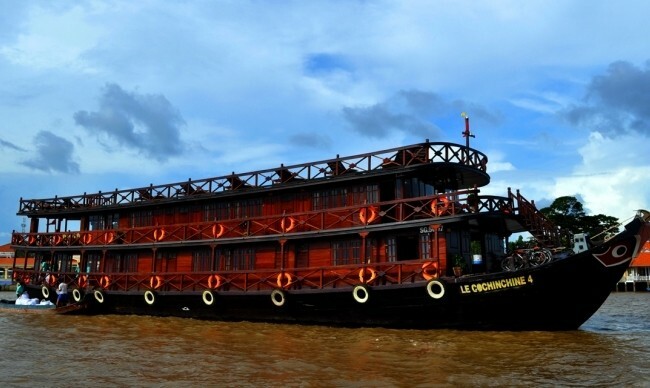 12h00pm: Boarding Le Cochinchine/Mekong Emotion boat at Ninh Kieu tourist pier, welcome drink and check in cabin, up for cruise to Cai Be via Tra On. 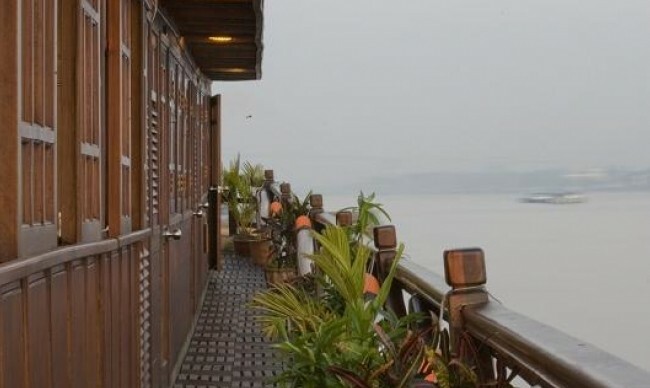 Leisurely cruise down the Mekong while enyoying the beautiful scenery. Lunch on board. After lunch disembark then a pleasant walk on the footpaths of the countryside to discover tropical fruit orchards and the local people's activities, especially somes orchards (orange grove) with its famer and sample various tropical fruits in LACH village. 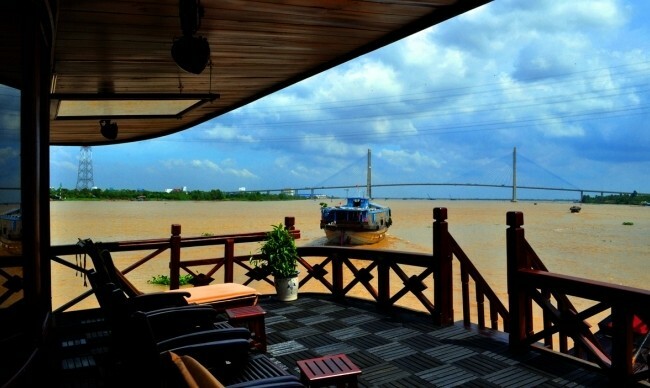 Then return the boat to cruise to Cai Be. 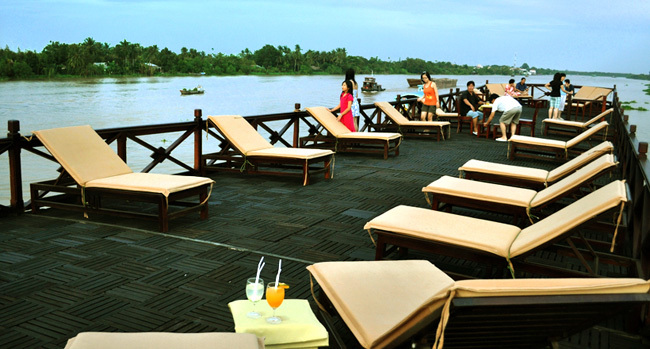 Enjoy the magnificent sunset on the Co Chien river. 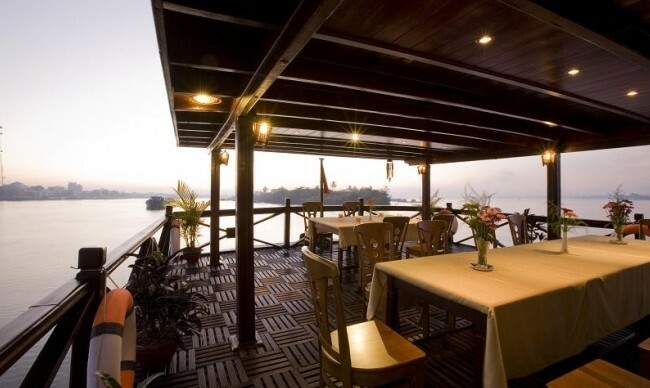 Dinner and overnight on board in Cho Lach or Cai Be Up to river tide. 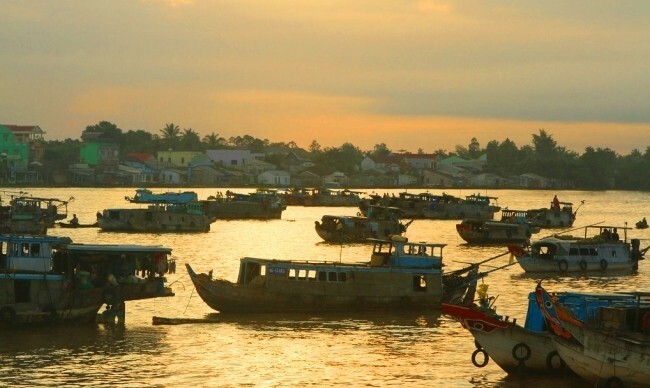 In the morning, the noise of the floating market wake you up, visit the daily life of the local people who live on both sides of the Mekong river, breakfast on board. After breakfast, check out luggages to small motor boat to explore the lively Cai Be floating market in the morning. 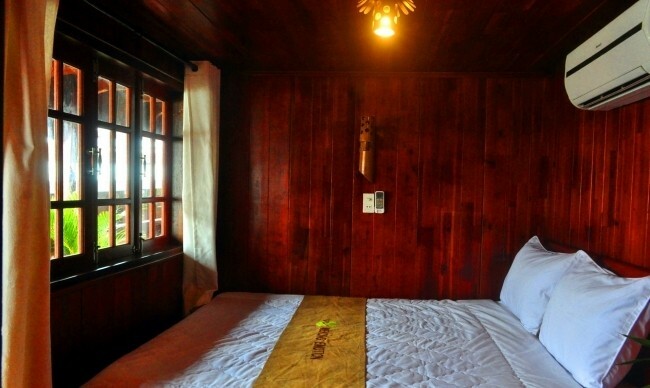 Walking for visit a handicraft village of the local people then sightseeing the old house and sample various tropical fruits. 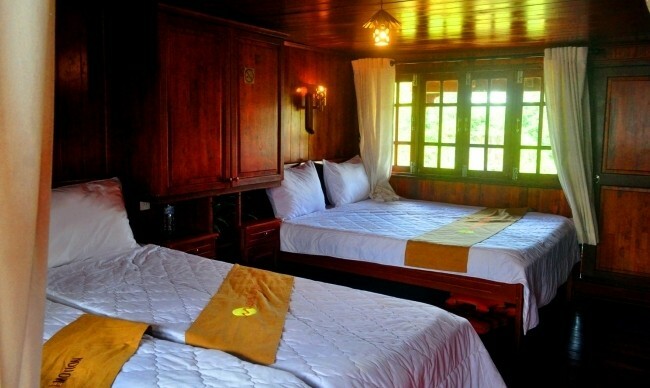 Continue boat trip to Mekong Lodge – an eco-resort Mekong Lodge includes more than 40 private pretty bungalows and River View Restaurant, stretched in an area of more than 10.000 m2 lays just beside the Tien River. 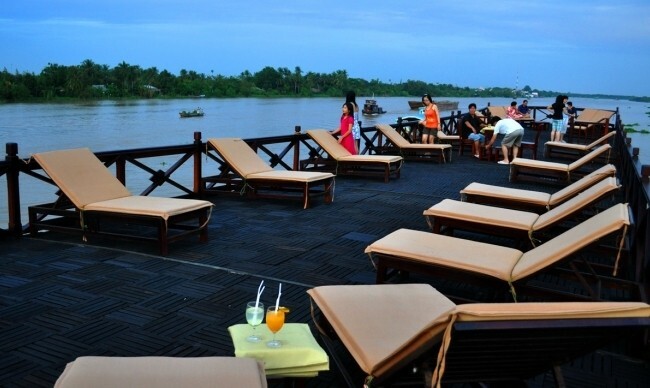 Visit Mekong Lodge and walking around this area to see local people who are doing daily activities. 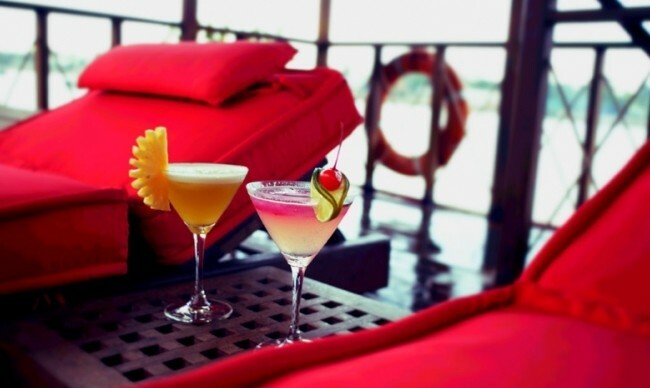 Embark Le Cochinchine/Mekong Emotion boat, welcome drink and check in cabin. After lunch, cruise depart from Cai Be to My Tho via Ngu Hiep island. 02h30pm: Arrive Ngu Hiep island. Disembark and leisure biking or walking tour on this island seeing daily life and local people’s activities. 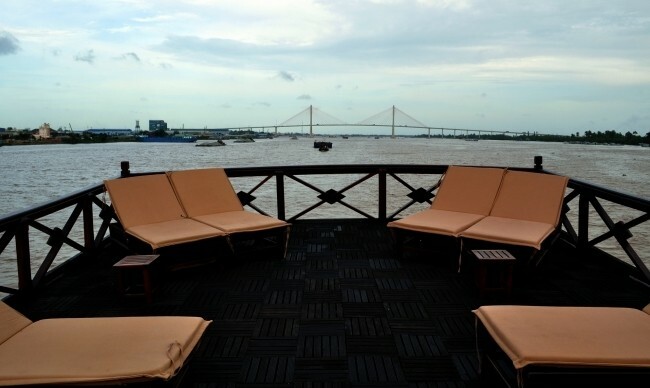 Leisurely cruise down the Mekong River while enyoying the beautiful scenery and enjoy the magnificent sunset on the Tien river. 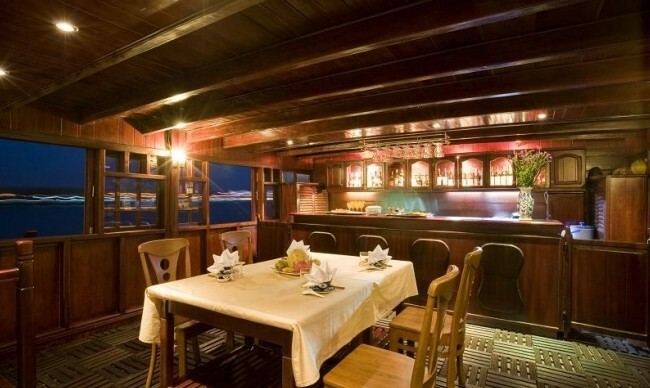 Dinner and overnight on board between Ngu Hiep island and My Tho. 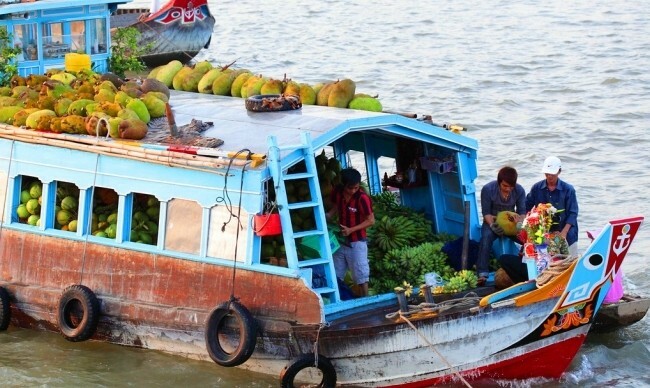 In the morning, the noise of the boats wake you up, watch the daily life of the local people who live on both sides of the Mekong river, breakfast on board. Continue cruising to My Tho. After breakfast, check out luggages to small motor boat to explore one of the islands in My Tho. The guests can walk throught the island, trying native fruits viewing local handicraft production and meeting the local people. 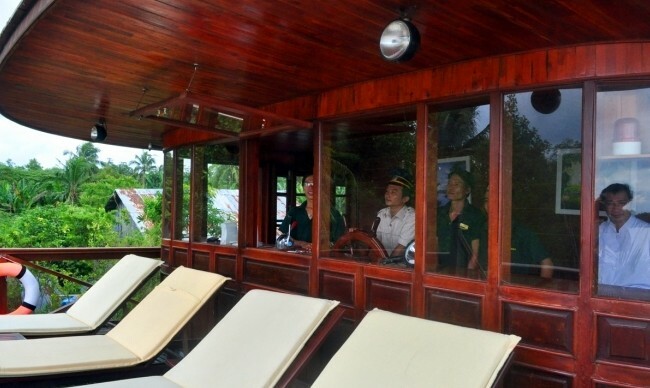 Then take a brief sampan ride throught palm-shaded creeks. 10:00am: Boat transfer returned to My Tho tourist pier, disembark then get back the car for Saigon or another destination. END TOUR. English or French speaking guide on board, boat cruising featured in the program in details, all meals as mentionned (lunch, dinner and breakfast) and overnight on board, all entrance fees, walking or biking tour up to health’s situation of clients. 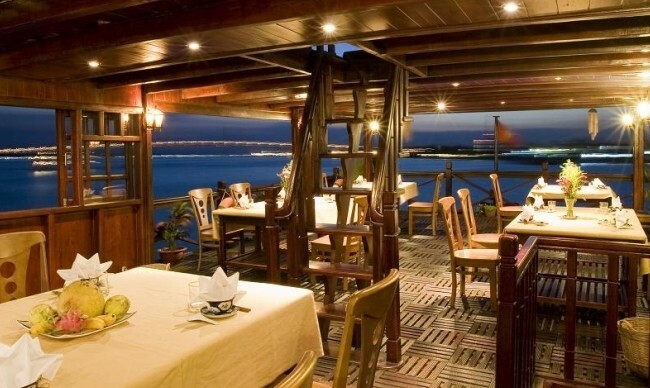 10% VAT, route transfers, beverages/drinks, tourist insurances, tips, personal expenses and any service not mentioned in the Inclusion. For booking this cruise, You just need to deposit 30% total of the price (easy and secure with ONE PAY payment system). The remained balance will be paid 35 days prior of departure. All cancellations must be received in writing, sent to us via fax or email. 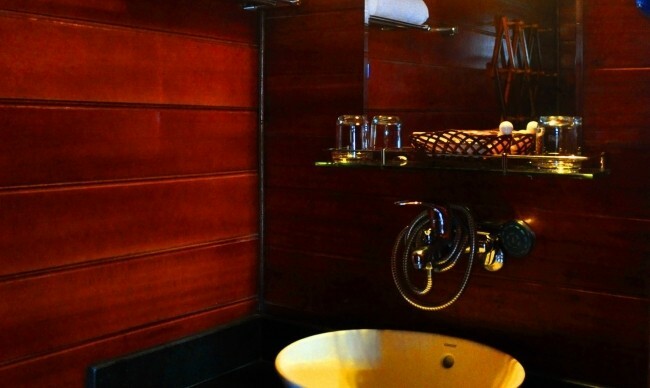 The following rules apply for cancellations: 10% non-refundable deposit is due to confirm your reservation.